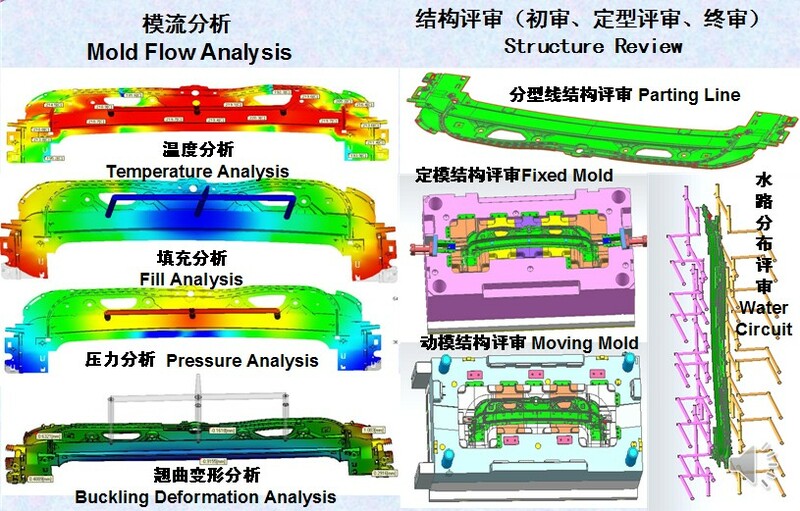 Mold Flow Analysis、Temperature Analysis、Fill Analysis、Pressure Analysis、Buckling Deformation Analysis、Structure Review、Parting Line、Fixed Mold、Moving Mold、Water Circuit. The company possesses large imported CNC machining centers, CNC，EDM, large die spotting machine and other advanced processing equipment to ensure the high-precision, high-quality products. 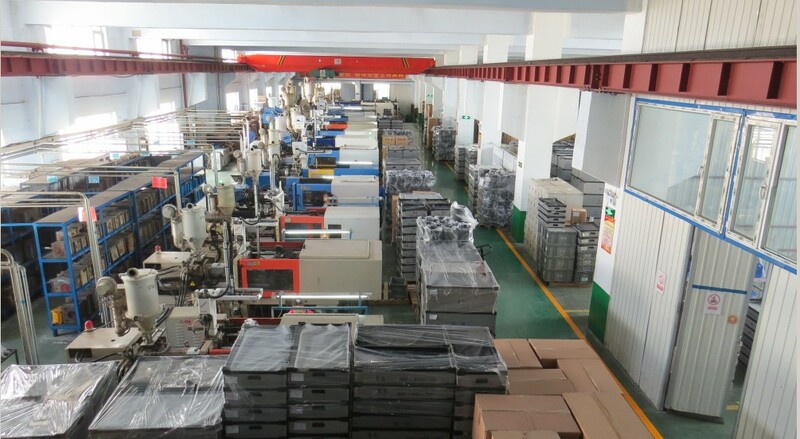 Our company possesses 16 advanced Haitian Injection Molding Machine，such as 1000T, 680T、530T, 470T, 380T, 285T, 200T, 160T, 120T,110T,90T,86T,58T,etc in injection molding.